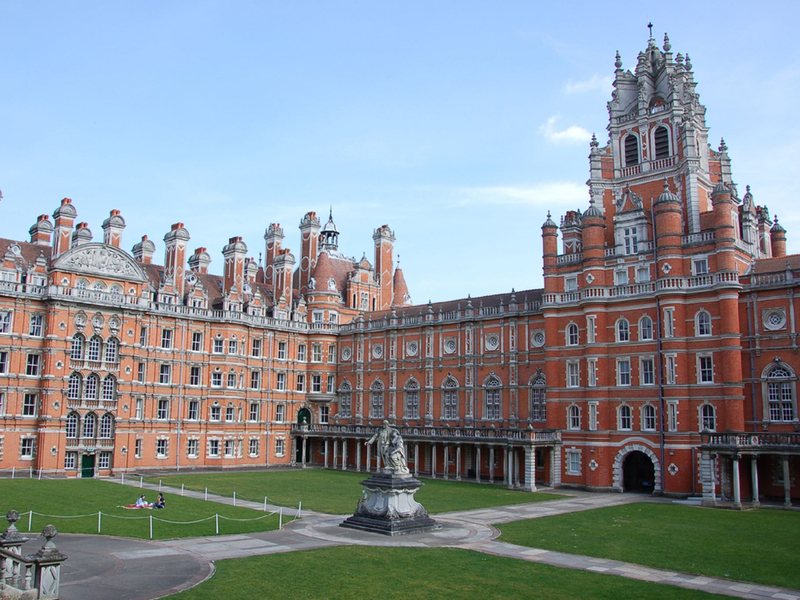 Royal Holloway, University of London is one of the major Colleges of the University of London. The University of London is a federal university, founded in 1836. It comprises over 60 institutions of varying size and profile, from colleges with many thousands of students to small research institutes. It is the largest and most diverse university in Britain and one of the largest in Europe. University of London degrees have long had an international reputation for excellence. The New Political Communication Unit is based in the Department of Politics and International Relations. Fully 72 percent of research in the Department of Politics and International Relations research was judged to be world-leading (4*) and internationally-excellent (3*), placing it 18th among Politics and International Relations departments in the UK for this measure. For research 'outputs', which means the 'originality, significance and rigour' of the research submitted, the department comes out 13th in the UK for 4* and 3* quality. In terms of 'research intensity,' which takes into account the proprtion of staff in each department actually entered into the REF, the Times Higher placed the department an impressive 10th in the UK. The Department of Politics and International Relations at Royal Holloway is in the global top 200 in the QS World University Rankings (2016). 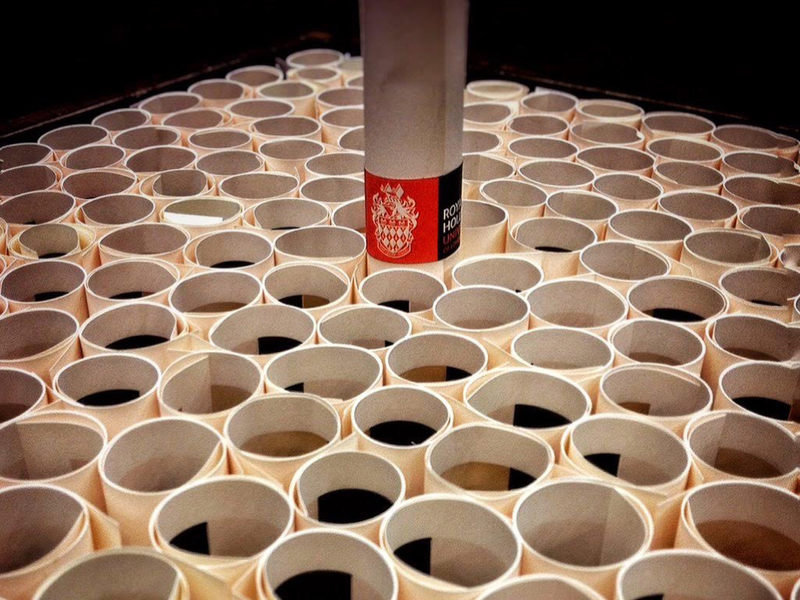 In the University of London system, a PhD is awarded to students who produce a substantial piece of original research in the form of a thesis of up to 100,000 words. Candidates for PhD are normally registered for 3 years full-time, with submission within not more than 4 years, or 4 to 7 years part-time. Students must remain registered and paying an appropriate fee until submission. Please note that there is a limited number of places available on our PhD programme. Applications are considered in the order in which they are received. We strongly recommend that you enquire about potential study in the autumn and early winter before the academic year in which you wish to begin your research. See also the note about funding, below. We welcome applications from suitably qualified and highly-motivated candidates. The application process for our postgraduate research programmes is an interactive one. We put great emphasis on matching prospective students to supervisors’ interests, building on our existing research activities. If you are interested in applying, please first refer to our website to get a good idea of our research foci, in particular our staff pages and research pages. If you find a member of staff whose research interests match yours, we recommend that you approach them directly by email, sending them an idea of your research project and a short CV. If the member of staff is interested in your research project, they will make suggestions on how to develop your ideas into a fuller research proposal. The proposal is usually 8-10 pages long and includes the key research questions, proposed methodology and a bibliography. Potential students may be invited into the department, or a meeting via Skype to refine the proposal and explore the possibilities of the research. The student-supervisor relationship is key to a PhD, and so it is a good idea to meet during the application process. Promising candidates will be invited to submit a formal application online. You can apply for the PhD in New Political Communication online by clicking here. We suggest that you begin this process as early as possible, especially if you wish to apply for one of the available funding schemes. These are very competitive, and you should allow plenty of time to work on your proposal before you submit your formal application. The deadline for applications for SeNSS DTP ESRC funding is usually the end of January. The precise date will be advertised internationally nearer the time. The best place to check for the latest information on PhD funding is The Department of Politics and International Relations PhD page here (Click "Fees and Funding" on the top of the content box). Candidates wishing to be considered for an ESRC studentship are strongly advised to contact a potential supervisor no later than November or December—i.e. 9-10 months before they wish to commence their research. There is an internal College process to select the candidates for funding. A small number of scholarships is available each year from Royal Holloway. For more information about these opportunities for external funding visit the College's funding pages. The Department of Politics and International Relations occasionally offers Departmental Awards and Assistantships designed to top-up certain College awards. These are advertised internationally when available. For applicants wishing to be considered for one of the College studentships and not the ESRC funding, the deadline is usually late April or early May. Otherwise, students can apply at any time during the year. Each research student is allocated both a specialist supervisor and an adviser, whose role is to provide support and to review and monitor progress. All research student activity in the Department of Politics and International Relations is overseen by the Director of Graduate Study. The Department believes that careful supervision, appropriate research and subject training, and a supportive academic environment are crucial to the successful completion of research degrees. Students' supervisors and the Department's Director of Graduate Studies take primary responsibility for the academic and welfare needs of research postgraduates in the Department. A departmental handbook is issued to all research students annually, and students are encouraged to familiarise themselves with the College Code of Practice for the Academic Welfare of Postgraduate Research Students. The Department of Politics and International Relations provides a structured in-house Methods Training Programme for all of its postgraduate research students. This programme is compulsory for all first-year postgraduate research students in the New Political Communication Unit. This covers issues such as effective communication, academic networking, and career-related advice. The programme has been designed to be 'rolling' in nature. Students will have the opportunity to access particular sessions throughout the year at appropriate stages of their research. The sessions are arranged mostly by Faculty groupings so that students can participate in courses with fellow researchers and more easily form networking groups. The Unit, based in the Department of Politics and International Relations in the College's famous Founders Building, has a number of rooms available for PhD students. These are operated on a "hot desk" basis and feature Windows PCs, network points and WiFi access. The Department also has a Common Room complete with a PC and large LCD screen for slide presentations. The room is primarily for use by staff for meetings and research seminars, but is also bookable by PhD students for events. Students in our field may access the powerful LexisNexis database, which is the world's largest collection of news, company, people, industry, regulatory, and legal content taken from 35,000 sources from 1975 to the present day. Access this via MetaLib (on campus only or off-campus via VPN) at this link. The RHUL network caters for both Mac OS and Windows users and can offer basic advice on some flavours of Linux (mainly Ubuntu). Unit staff use all three operating systems and a wide variety of research and productivity software, such as AtlasTI, NVivo, Endnote, Sente, SPSS, Stata, and Transana, and have increasing knowledge of a wide variety of text mining applications such as Sysomos. We can also advise on the use of scripting tools for the acquisition of social media data. Together with quantitative and qualitative analysis software available from Royal Holloway Computing Services, these resources enable traditional and cutting edge social scientific research, with media and communication research particularly well catered for. All of the campus has excellent WiFi coverage. Internet-accessible communication journals are particularly well catered for in the College Library via EBSCO's Communication and Mass Media Complete journals database, covering more than 600 titles. Access this via MetaLib (on campus only or off-campus via VPN) at this link. We can also offer research students the latest technology to assist with their data gathering, fieldwork and analysis. This includes high quality Edirol MP3 recorders for interviews and focus groups, and a wireless multi-user conference phone for international interviews; the loan of laptops; a digital camera and hard disk based camcorder for audiovisual work and for recording events. The College is a subscriber to Box of Broadcasts (BoB), an online television recording and media archive service. BoB is available to staff and students of member institutions of the British Universities Film & Video Council that hold an ERA+ license. This TV scheduling service allows you to record TV and radio programmes that are scheduled to be broadcast over the next seven days as well as retrieving programmes from the last seven days from a selected list of recorded channels and an enormous archive of all of the broadcasts ever recorded using the platform. Opportunities to undertake paid undergraduate seminar tutoring may be available for suitably qualified full-time research students. Postgraduate teacher training is provided by the College for this purpose. Often PhD candidates will have the opportunity to undertake part-time paid employment as research assistants to academic staff.